Based in Mittagong we are a cabinetmaking business for everyone who expects the very best in design, construction, service and quality workmanship. We are serving and delivering the Southern Highlands, Wollongong area and Sydney. BESPOKE KITCHENS AND JOINERY Coast to Coast Kitchens create beautiful and unique kitchens, vanities, wardrobes and specialised cabinetry – all custom built in our local factory. 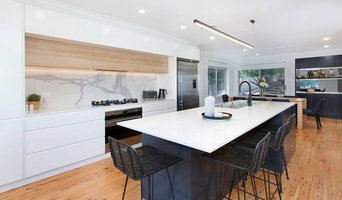 We have been designing, fabricating and installing kitchen cabinetry and specialised joinery for over 45 years, throughout the Illawarra and South Coast. We are committed to providing exceptional quality and service throughout each step of creating your tailor-made kitchen and happily offer advice if you need. Our qualified and skilled team recognise the importance of understanding your needs and wants for each specific project. Working directly with you in all stages from: assisting with design, materials & colour choices, right through to managing all installers - so your quality kitchen and joinery is delivered and installed on time. Bespoke Timber crafts timber furniture & joinery from our workshop in spectacular Kangaroo Valley, we only use responsibly sourced materials with a focus on recycled Australian hardwood. Every piece of timber has a story & we believe in simple functional design to showcase its unique character. Bringing modern equipment to an ancient craft we make individual pieces that are as much art as they are practical. Call us today to discuss your timber furniture & joinery needs. Guy Walton has been manufacturing Joinery of the highest quality for the last 30 years, running his own cabinetmaking workshop since 1991. Custom Joinery of the highest quality. From our early beginnings we have gained a reputation as a company dedicated to innovative design solutions. Our approach is to work closely with our clients, fostering a partnership where the optimum results can be achieved & expectations of final work can be ensured. Our team of planners & skilled tradesman provide a level of professionalism & expertise that is the core of our success. We are your single point of contact for any custom kitchen joinery. We have highly skilled and qualified staff to design and install any of our product designs and joinery. Contact us for a free measure & quote.. Established in 1995 Finestyle Group has rapidly developed into a market leader in the joinery industry. From it's humble beginings in a small garage to now, in our own modern factory with a brand new showroom currently under construction due for completion mid 2009. Our commitment to quality, design and function is a consistent contribution to our brand. This is why we are one of the first joinery companies to test any new products on the market that our suppliers bring out from either here in Australia or in Europe where the finest hardware is manufactured. We have established ourselves as one of Sydney's leading joinery companies that Interior designers and Architects recommend to their clients. This is a result of our dedicated passion and commitment we have for producing joinery of a high standard that meets the needs of Sydney's leading Architects and Builders. The kitchen and joinery industry is changing at a fast and rapid pace with new ideas and products such as engineered stones, soft close drawer systems and new innovative hardware that creates useable space from otherwise unused corners. Where possible we try an incorporate these new products into our designs to make the kitchen more functional and ergonomical for our clients. We also take into consideration our clients lifestyle, available space and most important budget. We offer a wide variety of finishes from exotic timbers and veneers, polyurethane, vaccum pressed doors, hand painted finishes through to laminate finished products. Our hardware is of the finest quality sourced from Europe such as BLUM for drawer systems and cabinet door hinges, H A Fele for our architectural hardware, Hettich for furniture fittings. We also make sure that we stand by our Australian brands such as Tesrol for vaccum pressed doors, Laminex for laminate products, Polytec for board and laminate products and Mirotone paints and finishes. Goode’s Joinery is a small Illawarra based joinery company owned and operated by Jono Goode. Jono has been in the joinery / shopfitting trade for 14 years and has vast experience in many sectors of the industry. We uphold the highest of values when delivering quality joinery to our clients. We pride ourselves on timely delivery and professional workmanship. RMW Joinery established itself by delivering quality service and building a strong and loyal relationship with its current clientele. Quality referrals from our clients has seen our reputation grow. We aspire to and are becoming well known for our attention to detail and punctuality when completing jobs. We cater for specific niche joinery requirements that are difficult to achieve for standard joiners. Our work is of the highest quality and there is no job which is unachievable. We are always striving to become one of the best small joinery companies in the industry. 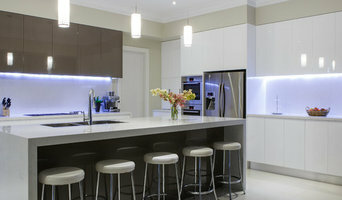 Joinerytrade.com is Australia’s only dedicated marketplace developed for cabinet makers to sell online. We connect buyers and sellers in a safe and convenient manner, much like eBay. 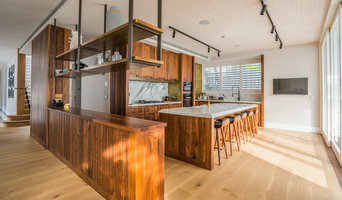 Our marketplace connects DIY/home handymen to cabinetmakers with automated CNC machinery, making the process of ordering flexible online kitchens, cabinetry and cut-to-size parts very simple, fast and affordable. Joinery and cabinet makers are mostly known for their work in kitchens and bathrooms, but their skill set goes much further than that. It is important to understand the difference between carpenters and cabinet makers, which lies in the detail of work. Carpenters tend to work on larger structural projects and this is why many become builders, whereas cabinet makers are masters when it comes to the finer detail. 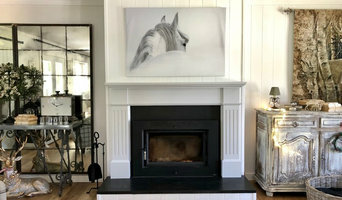 So if you’re looking for detailed woodwork like custom-made furniture for your living room or smart storage solutions, you’ll be sure to find a Wollongong, New South Wales cabinetry expert in the Houzz directory of professionals. What Do Wollongong, New South Wales Joinery and Cabinet Makers Do? If you know what you want and are ready to take the next step, scroll through this page to find joinery and cabinet makers in Wollongong, New South Wales. As mentioned, you can browse their latest projects, read reviews and see how other homeowners rate their work, and message them directly. You can also look through Photos to find examples of joinery you like, then contact the professional who worked on them.